Description: A total no-brainer! 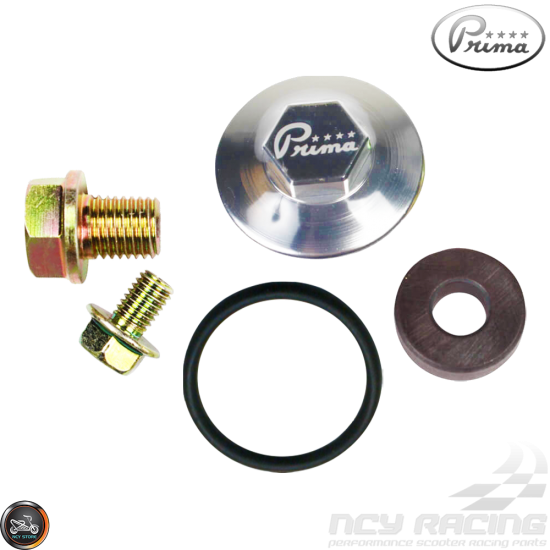 This kit makes your oil drain bolt magnetically charged to pick up any particles floating in the oil. It's the oldest trick in the book, for good reason--it works! NOTE: Please confirm measurement is correct prior to ordering. Supported Models: GY6 139QMB 49cc-50cc 4-stroke, 50QMF 90cc-100cc, 152QMI 125cc, 157QMJ 150cc, 161QMK 170cc, 161QML 200cc, Chinese Scooter, ATV, Genuine Buddy, Kymco, Polaris RZR 170, Ruckus, Vento, and virtually any other GY6-based engine with these measurements. Description: Another way to keep your Honda Ruckus looking cleaner than the next. With this black metal luggage cover, you can keep the internal wirin.. 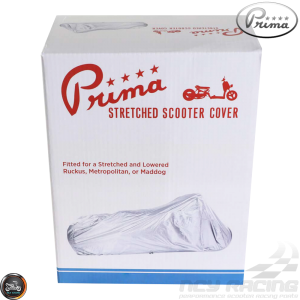 Description: Bring your scooter to the 21st Century! 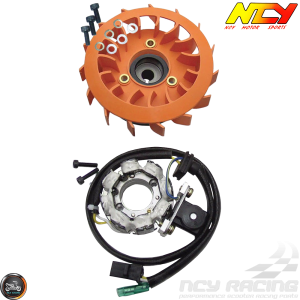 NCY's Coil-on-Plug ignition system provides 10kV more per spark and optimum timing precision over.. 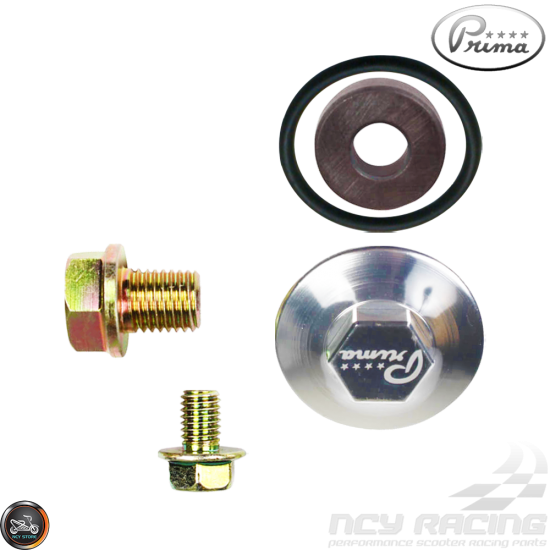 Description: G- Flywheel Puller, NEW improve designed works on both 24mm and 27mm Reverse Threads (male-end-to-end). 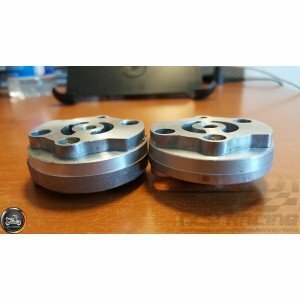 Fit most scooters’ flywheel with .. 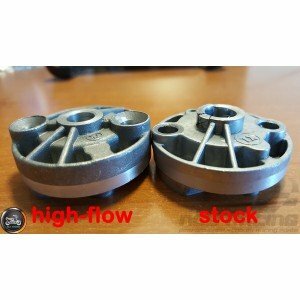 Description: GY6 125cc 150cc new high performance super high flow oil pump can fit Chinese scooter models and others. Perfect to install an oil cooler.. 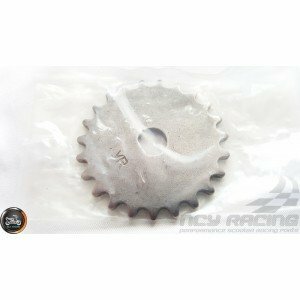 Description: Taida Starter Clutch Heavy Duty Assembly for 125cc 150cc GY6 4-stroke Chinese Scooter, ATV, Ruckus, Vento.Specifications:Includes the fol.. 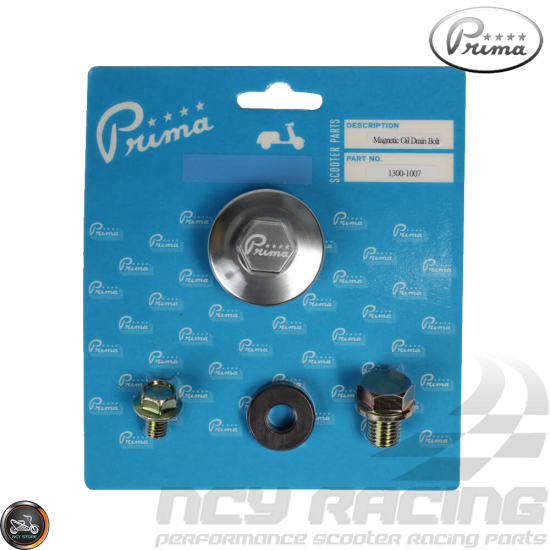 Description: Ditch your plastic-on-plastic throttle tube set up for this performance needle bearing throttle tube. Aluminum throttle tube with choice .. 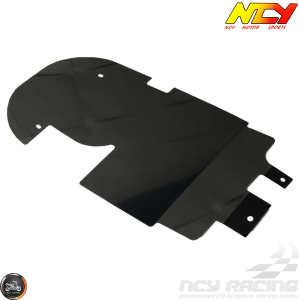 Description: High-Quality Lightweight racing stator assembly for most 139QMB engines. Will work on most 139QMB engines with three wire output (Yellow,.. 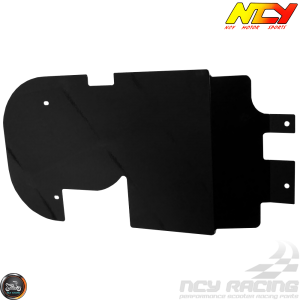 Description: This NCY Shock is constructed of an anodized black billet body, 550lbs/in coil, and features an adjustable length and spring pre-load dam.. Description: High-Quality NCY replacement throttle cable for CVK carburetor on 139QMB, GY6, Honda Ruckus, and many other models GY6-base scooters.Spec.. 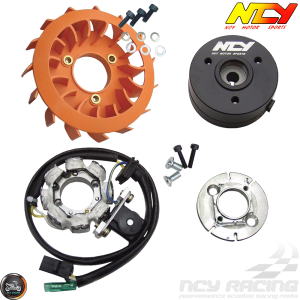 Description: NCY Oil Cooler Kit is the perfect addition to your high performance or bone stock 139QMB 49/50cc or GY6 125/150cc. More oil and cooler oi.. Description: Taida High-Torque Starter motor for 49cc 50cc GY6 4-stroke 139QMB Chinese Scooter, Ruckus, Kymco, QLink, SYM. This Starter Motor is recom..